Basement Systems has paved the way for crawl space repair and encapsulation. They have developed specialized products and industry-leading training programs to transform any problem crawl space into a clean, dry foundation all of our specialists have been fully trained and certified through the Basement Systems Program. The Basement Systems network includes over 125 water proofers, spanning across the United States as well as in Canada, the UK, and Ireland. Smart Vent Products, Inc. is the worldwide leading manufacturer of foundation flood venting systems . Smart Vents are FEMA approved and designed to be used in flood zones or new or existing construction. The installation of Smart Vents can reduce flood insurance rates by 50% and more. SMART VENT Flood Vents are Engineered Openings and are certified to meet all Building Codes, FEMA Regulations, and NFIP Flood Insurance Requirements. The TBF Basement Finishing System transforms your basement into a beautiful, finished living space for you and your family to enjoy. Total Basement Finishing offers a total basement remodeling package. These finished basement systems resist mold, resist water, dampen noise, provide thermal insulation and with a 50-year warranty against mold and moisture-their solid basement wall panels are guaranteed longer than any other basement system- even if it floods! Basement Systems Inc. has been awarded over 30 Patents and 19 Innovation Prizes on waterproofing products we use every day, including a battery back up sump pump system. This approach ensures the best waterproofing systems and solutions available. At CleanSpace Northwest we strive to be the best we can be for our customers. By being a member of the Better Business Bureau this holds us to a higher standard that we take with pride. The Building Industry Association of Washington is the voice of the housing industry in the state of Washington. The association is dedicated to ensuring and enhancing the vitality of the building industry for the benefit of its members and the housing needs of the citizens. Since 1970, the Chehalis River Basin has experienced seven catastrophic flood events. A storm in 2007 brought floods to Lewis County that caused an estimated $166 million in damage to personal property, agricultural land, local businesses, and transportation systems. 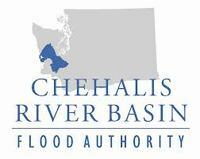 The Chehalis Basin Flood Authority (FA) was created in response to the devastating flood of December of 2007. The Home Builders Association of Kitsap County is an association of builders, subcontractors and related service providers representing the home building industry, its members and its consumers. HomeAdvisor is a leading website offering comprehensive tools and resources for home improvement, maintenance and repair projects. With 15 years of expertise helping more than 30 million people find a trusted home service professional, they are a leader in the home repair industry. HomeAdvisor is the secure way to find contractors and we are proud to be part of their network. 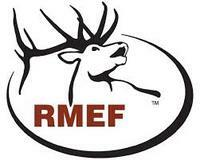 Rocky Mountain Elk Foundation is a wildlife conservation organization with a mission to ensure the future of elk, other wildlife, their habitat and our hunting heritage. CleanSpace Northwest is proud to be a donor to this great foundation.